For generations, the rivers of India have played the cradle to various pockets of civilization, where great religions and empires rose and fell. Seekers and adventurers came to these banks to find knowledge and other worldly benefits, only to return and tell stories about their riches. Rivers have been metaphors for imaging life in its infinite dimensions. 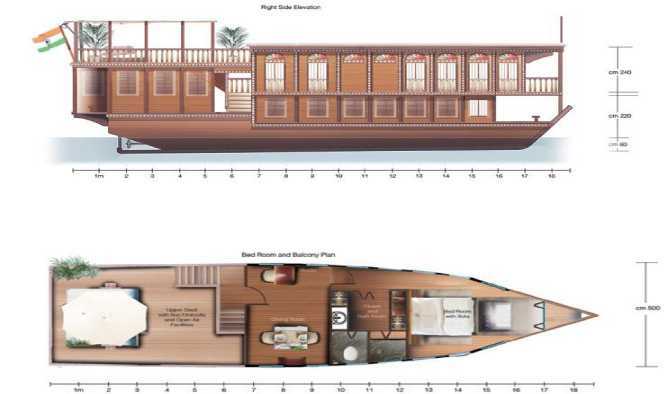 After the Bengal Ganga and the Ganges Voyager, the luxury cruises on the ancient river route of The Ganges, we are set to launch Nauka Vilas, an elegant one-bedroom wooden ship to offer travellers the most exquisite experience of romance.